If there was a place where I could get real good authentic Japanese ramen in Kuala Lumpur, it would be Goku Raku Ramen in Midvalley Megamall. On my previous visits, I found out that this restaurant served delicious ramen that was similar to the ones in Japan, with ample toppings (a lot of char siew slices and a whole lava egg) and at affordable prices too. Needless to say, Goku Raku Remen quickly became my go-to place to curb my ramen cravings. During an invited food review by Ivy of Food Malaysia recently, I found out why the ramen here resembled the ramen I love so much in Japan. It was because the chefs themselves were either Japanese themselves or trained in Japan for several years. I admit that besides the ramen, I wasn't familiar with their menu. Heck, I didn't even know they had Shanghai Fried Ramen (RM13.90). Served on a hot plate and right off the fire, this dish arrived sizzling and the smell of fried noodles and vegetable immediately invaded our nostrils. The fried ramen came with a lot of fresh juicy vegetable such as bean sprout, carrots and cabbage. This would a healthier version of our chinese fried noodles and non-meat eaters will like this. However being the Malaysians that we were, my table was close to starting up a riot just so we could move on to the next dish, the highly anticipated 5 Star Aburi Char Siew (RM25.90). The Tonkotsu broth allowed us a strong flavouring of the pork bone that was strewed in it for hours and had us slurping the bowl dry. The ramen was perfectly al dente and as I raved earlier, there was ample toppings; a generous serving of five Char Siew slices, sliced with a balance of glorious fat and succulent meat and a soy-marinated lava egg along with a dressing of finely sliced chilli. Not only was it a feast to the eyes, this bowl of ramen was a delight to my tastebuds as well and I would give it 6 stars instead of 5. The Ebi Gyoza (RM10.90) and Goku Raku Ramen meatballs (RM5 for 5 pieces, RM9 for 10 pieces and RM17 for 20 pieces) should be married together and served hand-in-hand. While one is lightly fried to seal in the flavour of the delicious prawn bits inside and served with sze chuan seasoning and soy sauce, the other is juicy minced pork rolled into two-bites-sized balls, fried and saturated in sweet sauce. Both made good starter dishes to share, light on the tummy, a great tease on the palate. Of course, for a group or family of three or four who wants to try everything can opt for the chef's special course meal. 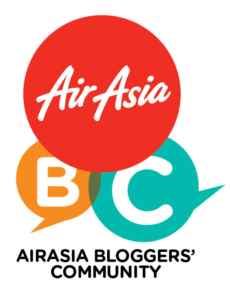 We were presented with Course Meal Set C (RM119.90) which came with a collection of 13 different dishes, ranging from starters to ramen to dessert. The course meal is only served after 6pm and takes a while to cook. Reservations and ordering beforehand is advisable. For RM119.90 for 13 different dishes, this set meal is definitely well worth the money and a hassle-free option for the hungry and spoiled for choice. 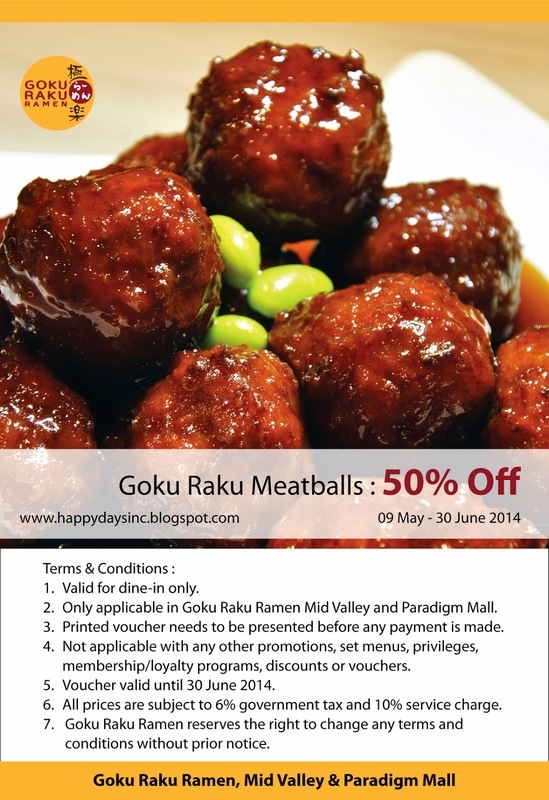 Thanks to Goku Raku Ramen, you too can try their GRR meatablls at 50% off! All you need to do is print out this image, bring it with you to Goku Raku Ramen and produce it upon ordering to get this special offer! At Goku Raku Ramen, we are introduced to the "Horikiri Style" ramen, discovered by noted ramen connoisseur, Mr. Teruhisa Shimizu. The unique style meshes well with the palatable pork, chicken and fish mixed broth, as well as the Shio (salt) and Shoyu (Japanese soy sauce) soup base specially made by the chef. The broth is simmered for long hours to bring out its exquisite taste and the ramen we serve is made fresh daily with our ramen-making machine. We are able to fully experience and appreciate the genuine taste of Japanese Ramen now that Goku Raku Ramen has been established in the heart of Kuala Lumpur & Penang. 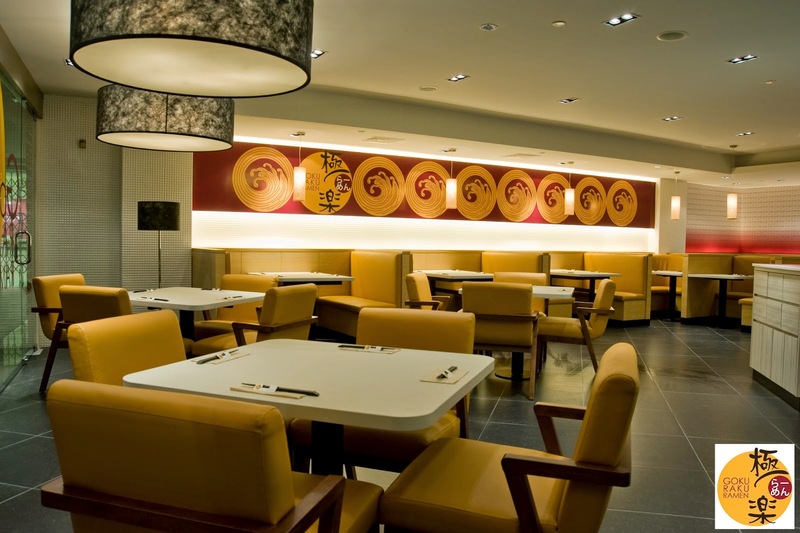 Satisfy your ramen cravings and enjoy the ultimate ramen-dining experience!